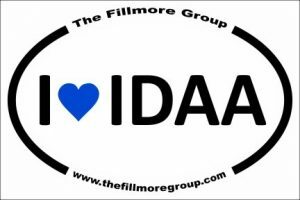 Posted by Kim May on June 28, 2018 under Baltimore Washington DB2 Users Group, DB2 Education, DB2 for z/OS, IBM Think Conference, TFG Blog. The IBM Think 2019 Conference will be held in San Francisco, on February 12 – 15. For those like me, who felt the Las Vegas conferences were becoming one exhausted blur, San Francisco is a welcome change. I hope this year’s Think Conference will offer excellent networking (why I go! ), along with the opportunity to learn about new and “coming soon” solutions. For technical folks there should be plenty of opportunities to learn and improve your skills. As with past IBM conferences, presenters get a free pass. The conference fee is set at $2,295 – and we all know getting a free pass makes asking your boss to fund a week in San Francisco much easier. And the Call for Speakers is now open. I suggest anyone interested in presenting, particularly if it’s your first time submitting a presentation, share your presentation idea with your local users group and ask for their feedback. Users groups – like the Baltimore/Washington Db2 Users Group – review presentations throughout the year as part of the process of selecting meeting sessions. Our board members can provide feedback to make your session abstract stand out (in a good way!) Many of our board members have also delivered presentations, and welcome the opportunity to share their experiences with “newbie” presenters. The submission link is here. Don’t lollygag – submissions must be submitted by July 16, 2018. Other dates to note: speakers selected will be notified in September; final presentations are due to IBM in December. I hope to see you at Think!